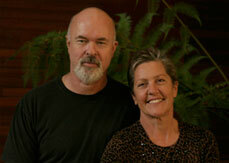 Accessories & Specialty Products- Necessary, New, Interesting, and Hard-to-find products. 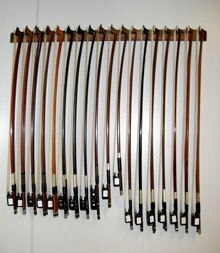 All music stands are available in cherry, mahogany, or walnut. 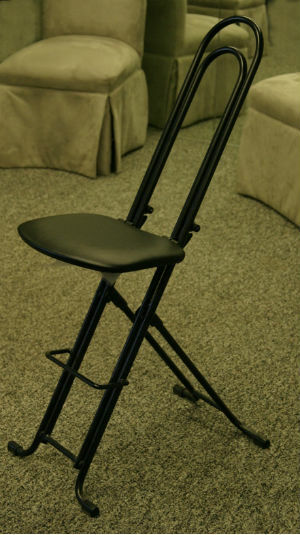 “The Fermata” violin and viola stand. Cello Stand--front view and rear view of cello stand with bow holder attached. Available with red, green velvet or blue lining. “Serenade” music stand, cherry. “Regency” music stand with lattice desk, mahogany. “Regency” music stand with solid desk, walnut. 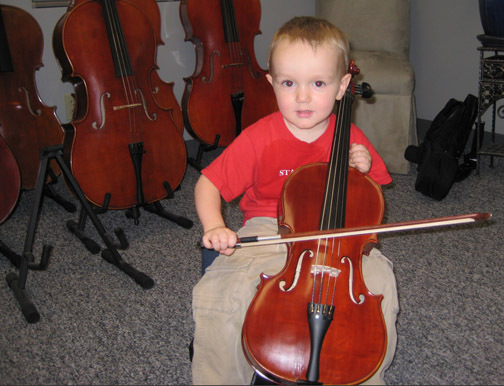 Our custom built 1/16th cello modeled after the Suzuki “Nagoya” for our very youngest cellists. 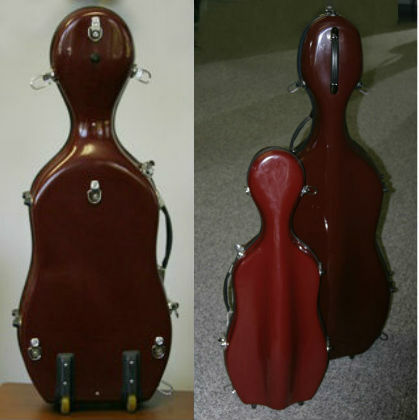 We have a great selection of fiberglass cases that protect an instrument from all the traveling performers and student have to do. They come in a variety of finishes. We've even added colorful kiddie cases, they come with wheels, straps and handles! Strings are expensive, no getting around it. 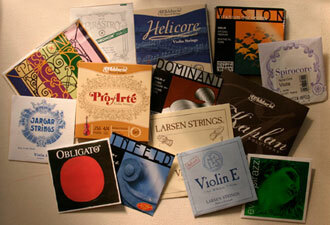 Odds are you've checked out a few of the on-line string sellers and have purchased strings from them. But there are times when it simply isn't convenient, or even wise.For instance, if you have difficulty putting strings on yourself, you can buy them from us and Kevin will professionally install them without charge. So in an effort to balance the need of having them in your hands now and better pricing, we're taking 30% off all our strings!